Overlord - 4K UHD Review - ReDVDit! 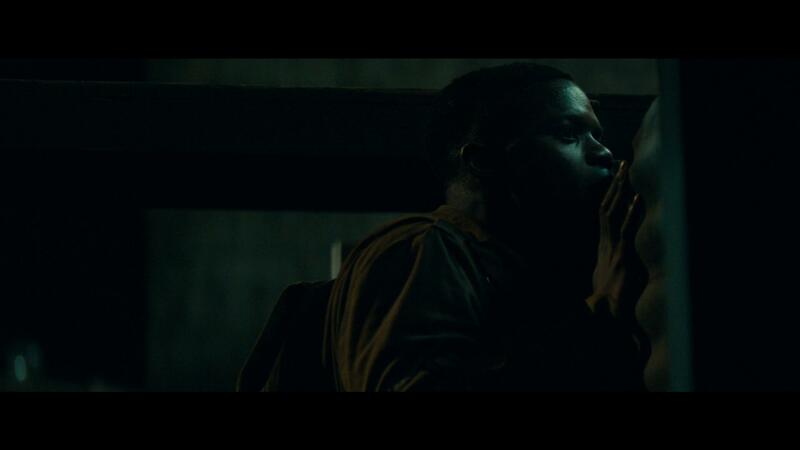 Overlord is a 2018 American war horror film that was directed by Julius Avery and written by Billy Ray and Mark L. Smith. It stars Jovan Adepo, Wyatt Russell, Mathilde Ollivier, John Magaro, Gianny Taufer, Pilou Asebaek, Bokeem Woodbine. The film was produced by J.J. Abrams, through his Bad Robot Productions banner, and Lindsey Weber. The plot follows several American soldiers who are dropped behind enemy lines the day before D-Day and discover secret Nazi experiments. Starting us off on the eve of D-Day, a paratrooper squad is sent in to destroy a German radio tower located in an old church; however, their plane is shot down before they can reach their target, leaving only five survivors. Overlord was released in the United States on November 9, 2018, by Paramount Pictures. The film received positive reviews from critics and grossed over $41 million worldwide against a production budget of $38 million. The initial story for the film was conceived by J.J. Abrams and screenwriter Billy Ray, with Ray penning the script. Paramount acquired the film in 2017, and Mark L. Smith was brought in to polish up the script. On February 1, 2017, Bad Robot Productions and Paramount Pictures announced that Julius Avery would direct the film. On January 18, 2018, the film was initially reported as being the fourth installment in the Cloverfield film franchise, though Abrams denied this at CinemaCon on April 25, 2018. 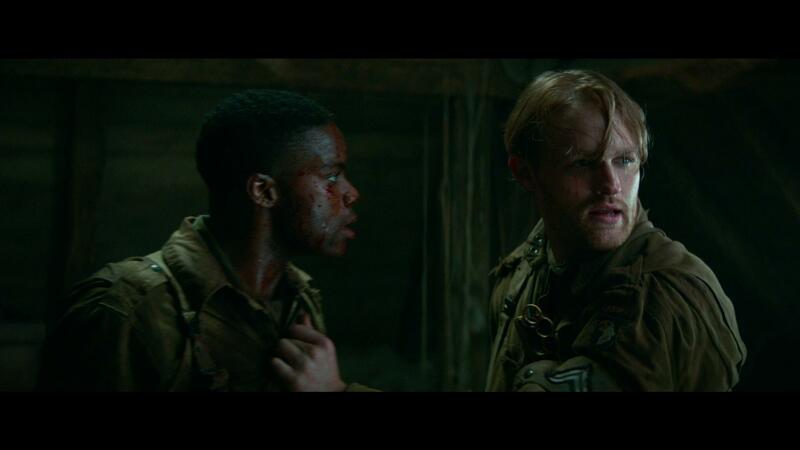 Overlord is a movie that made me question the overall enjoyment factor upon originally seeing the promotional material that was released during the theatrical run. After sitting down with it last night, this movie is a considerably enjoyable time that takes you behind enemy lines as you discover the possibility of open science experiments being performed on those who were captured. Falling right in line with what you would expect to come out of a standard B-Movie but with grade-A level production values, this movie was an insane ride from beginning to end. With a decent number of moments that really made us question exactly what was happening, only to be surprised by the various thrills and insanity that would accompany a story of this level, my wife and I found ourselves absolutely enjoying this movie and are already planning to re-visit it to see if there was anything that we missed during our first run. 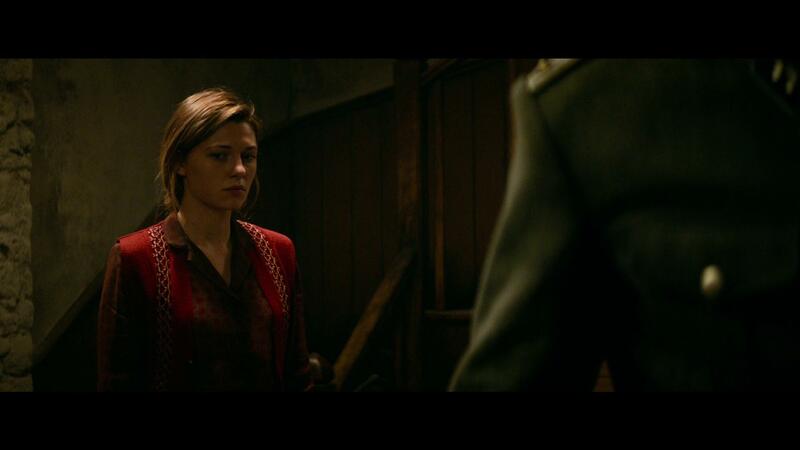 Where the 4K UHD release of Overlord absolutely shines is with its utilization of Dolby Vision. Offering an insanely clean and clear look into the battlefield, the colorization of the scenery really helped to convey the entire “war is hell” mentality that accompanied WWII. 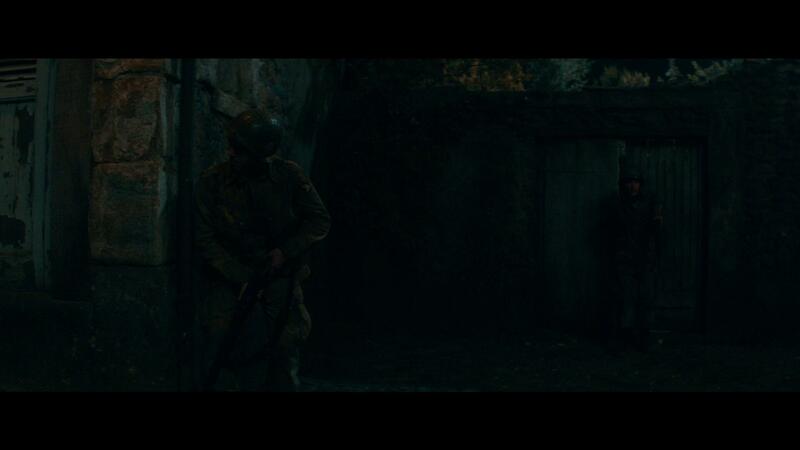 Some of the shots that were taken to look like Normandy and Germany were absolutely fantastic and were pretty reminiscent of those shots that I’ve personally seen in various war documentaries throughout my life. 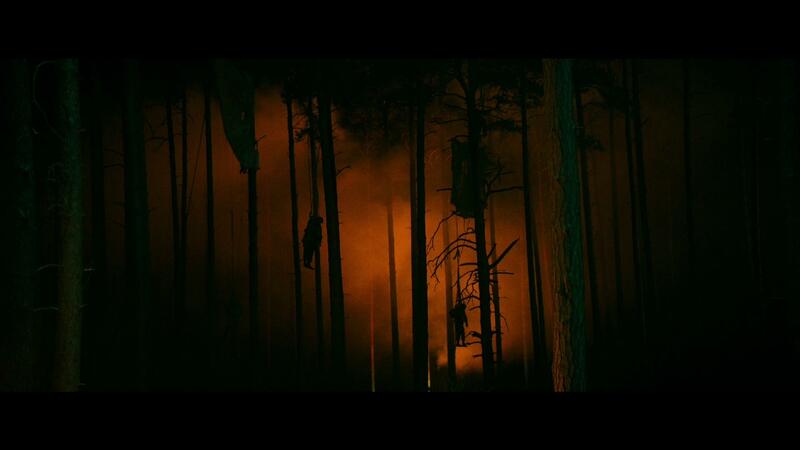 The special effects, particularly those of the various zombie sequences blended into the natural scenery really well, allowing for them to have that added sense of reality and avoid any kind of distraction that you would normally see with cheaply used effects. Unfortunately, I didn’t get the chance to check out the included Blu-ray copy of the movie to do a comparison; however, after sitting down with the 4K release last night, I don’t really plan on popping the Blu-ray disc in because the visuals were really that great. 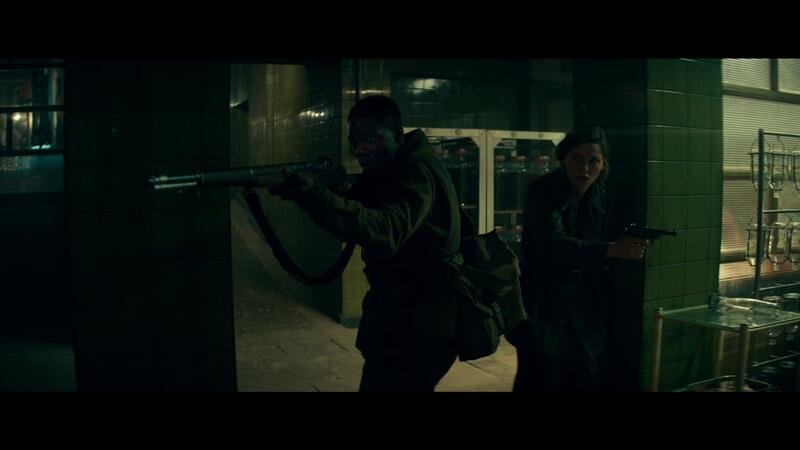 Packaged with an English Dolby Atmos audio track, the 4K UHD release of Overlord really packs one hell of an immersive audio experience for those of you with Atmos systems at home. Everything from the various war-time sequences with surrounding gunfire to the more sci-fi sounds that accompanied the zombies incoming really packed enough punch immediately grab your attention and make sure you see those moments through. The transitions from channel to channel were beautifully executed and really helped with the immersion level, ensuring that you do feel as if you’re sitting right there in the middle of everything. The dialogue is spoken cleanly, ensuring that everybody is able to be heard and understood without any supplemental elements overpowering them and making sure that you do not need to manually adjust the volume levels as it plays onward. 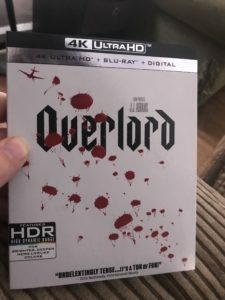 The 4K UHD release of Overlord comes packaged in your standard two-disc 4K UHD amaray case. In that case, the standard Blu-ray copy of the movie and the standard 4K copy. Neither of the discs feature any artwork outside of the standard release text and solid colored background. 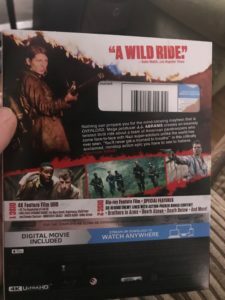 There is a digital copy redemption pamphlet included, as well as a slipcover that’s been made available in the original pressing of the release that features the same artwork that’s been provided on the case. Overall, I was insanely impressed with Overlord and the overall experience that the 4K UHD release provided. The story was not only interested, but the added production values really helped to amp up the entire experience. The video and audio quality of the presentation were absolutely fantastic and really ensured to pack an insane punch from beginning to end. The special features were pretty well thought out and really did a great job at showing the work that went into making this movie. If you’re considering this release for your collection, I would absolutely recommend picking it up, and making sure that you grab the 4K UHD release. Overlord will be available on 4K UHD, Blu-ray and DVD beginning on February 19.